Fatal and serious collisions in the vicinity of speed cameras are more than a quarter less likely on average, research has shown. Analysis of 551 fixed speed cameras in nine areas found the number of nearby collisions involving death or serious injury dropped 27% after their installation. An average reduction of 15% in personal injury collisions was also discovered by the RAC Foundation-commissioned study. However, 21 camera sites analysed saw an increase of collisions in the vicinity, leading to calls that they may be worthy of investigation. The analysis was carried out by Professor Richard Allsop, of University College London, based on data released in 2011 in a government transparency drive. Partnership areas investigated were Cambridgeshire and Peterborough; Leicester, Leicestershire and Rutland; Lincolnshire, Merseyside, South Yorkshire, Staffordshire and Stoke-on-Trent; Sussex; Thames Valley; and Warwickshire. Merseyside saw an overall rise in fatal or serious collisions (5%) and personal injury collisions (10%, with ten cameras in the county deemed worthy of investigation. Estimates for collision reduction were made allowing for the more general downward trend in the number of collisions in the nine areas in recent years. The effect of regression to the mean at sites where collision numbers were unusually high in the period before the cameras were installed was also considered. 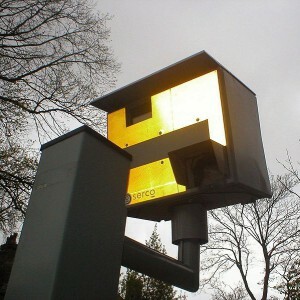 In 2011, the government instructed that speed camera data going back to 1990 – detailing accident statistics before and after installation – should be made public. However, only a third (12 out of 36) of the organisations – a mixture of councils, police forces and safer roads partnerships – have published the information to Department for Transport guidelines. Professor Stephen Glaister, Director of the RAC Foundation, said: “At the end of 2010 we published a report by Professor Richard Allsop which concluded that without speed cameras there would be around 800 more people killed or seriously injured each year at that time. “Overall his new work reinforces those earlier conclusions, but crucially the study has also identified a number of camera sites in the vicinity of which collisions seem to have risen markedly. “This may or may not be related to the cameras but warrants further investigation. “Therefore, on the basis of this study, we have now written to 11 local authorities suggesting they examine the positioning and benefits of a total of 21 cameras. “This is an intensely complex issue, but there is no one better placed to carry out the task than Professor Allsop and he has now produced a technical guide to help those interested in the subject try and better understand the numbers published for their areas. Image courtesy of David Bleasdale from England, with thanks.